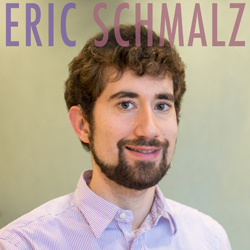 In this episode, we interview Eric Schmalz, Citizen History Community Manager at the U.S. Holocaust Museum. Eric works with the museum’s History Unfolded project. That project aims to investigate what Americans knew about the Holocaust as it was happening during World War II, and how Americans reacted to news of the Holocaust. The museum calls History Unfolded a “citizen history” project, in the style of crowd-sourced citizen science projects like Galaxy Zoo or FoldIt. Regular people are invited to find newspaper articles from the 30s and 40s, either online or at our local libraries, ones that reference the Holocaust, and contribute them to an online database. So far, the project has collected over 8,000 articles! Eric Schmalz was on Vanderbilt’s campus for the Cultural Heritage at Scale symposium, organized by Vanderbilt and the Council on Library and Information Sciences. He was interviewed by Gayathri Narasimham, associate director of the Vanderbilt Institute for Digital Learning. There’s a really interesting education angle here, since History Unfolded works with high school teachers and college professors to involve students in the project. Gayathri talks explores that educational angle with Eric in the interview. Derek Bruff: [00:07] Welcome to “Leading Lines,” a podcast on educational technology from Vanderbilt University. I’m your host, Derek Bruff, the Director of the Vanderbilt center for Teaching. [00:13] In this episode, we interviewed Eric Schmalz, Citizen History Community Manager at the US Holocaust Museum. Eric works with the museum’s History Unfolded project. [00:23] That project aims to investigate what Americans knew about the Holocaust as it was happening during World War II and how Americans reacted to news of the Holocaust. The museum calls History Unfolded, a Citizen History project, in the style of crowd sourced citizen science projects like Galaxy Zoo or Folded. [00:39] Folks looks like you and me are invited to find newspaper articles from the ’30s and ’40s, either online or at our local libraries, ones that references the Holocaust and then contribute them to an online database. [00:49] So far, the project has collected over 8,000 such articles. Eric Schmalz was on Vanderbilt’s campus recently for the “Cultural Heritage at Scale” symposium, organized by Vanderbilt and the Council on Library and Information Sciences. [01:03] He was interviewed by Gayathri Narasimham, Associate Director of the Vanderbilt Institute for Digital Learning. There’s a really interesting education angle here, since History Unfolded works with high school teachers and college professors to involve students in the project. Gayathri talks about that educational angle with Eric in the interview. Gayathri Narasimham: [01:22] Hi, I’m talking today with Eric Schmalz, who is Citizen’s History Community Manager at the William Levine Family Institute for Holocaust Education. [01:31] Hi, Eric. How are you doing? Eric Schmalz: [01:35] I’m doing very well. How are you? Gayathri: [01:38] I’m doing well, thank you. Like I mentioned to you, this is a podcast on educational technology. We are particularly interested in how folks are using technology in their educational enterprises, and how you use it in your teaching in classes, and so on. 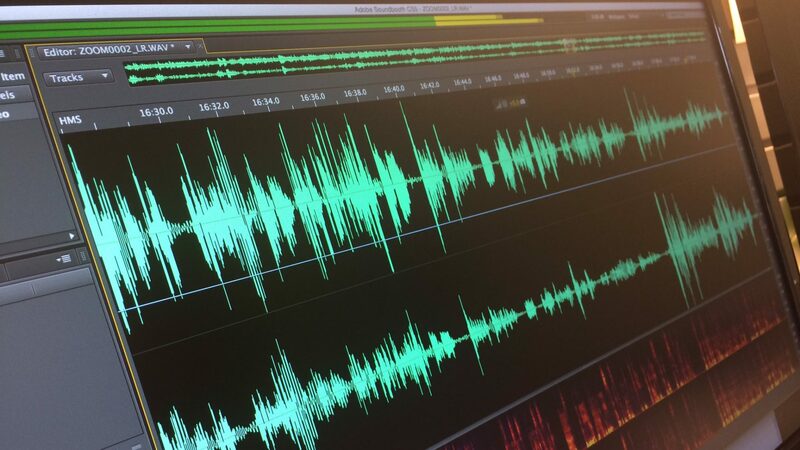 [01:57] Tell us a bit about what you do, what you’re doing currently, and how that would fit, keeping in mind this particular aspect of educational technology for this podcast. Eric: [02:12] I work at the United States Holocaust Memorial Museum in Washington DC. That is the national museum for the country, and I work on a digital project called History Unfolded. It is a newspapers project. We’re asking people around the country to look in their local newspaper collections, to see how their towns reported on certain events of the Holocaust. [02:36] This newspapers project started with an authentic research question that we’ve had at the museum, which is, what did Americans have the opportunity to know about the Holocaust as it occurred and how did Americans respond? [02:51] History Unfolded is a stand‑alone website. It’s actually not part of the main museum’s website even though we link to it. It was created as a way to allow people around the country to help us answer this question of what did Americans have the opportunity to know? Gayathri: [03:10] How do you frame this in your educational content? Do you have classes in the museum or do you go to schools? Do you talk with students of different ages? What do you do? Eric: [03:26] Yes. What’s been really interesting for us to see about this project is we originally intended to target just high school students, but History Unfolded has been attractive and has been implemented in classes from the middle school level, all the way up through university graduate students who are doing research on it. [03:49] We’ve also had involvement with lifelong learners, including some Holocaust survivors who have wanted to do this kind of work. There really is a wide variety of participation as some of those college students do come through. [04:06] I spoke with a group at Shippensburg University in Pennsylvania, for instance, and they were really excited to be a part of History Unfolded. Gayathri: [04:15] Awesome. The museum is located in DC and you have students coming through to the museum. What about the students who are not able to come to DC? Do you engage with them online? Do you have programs that you’re working with them, and they are using other means of reaching them? Eric: [04:37] One of the greatest parts about History Unfolded, you don’t actually need to come to Washington DC to be involved. [04:44] We’re asking people to look in their local newspaper collections, so if they find out about the project in other places, they can do the work, upload their article findings to our website, and really be a part of this ongoing research effort without ever stepping foot inside Washington DC. Gayathri: [05:03] Tell us about History Unfolded. What does it involve? It’s not a course. It’s more like a research project and so a student who is interested is going to be able to contribute to that research. [05:20] Is that going to be evaluated? Is that part of a credit bearing course in some universities, or is it part of some other research project that will end up in a publication or some longer lasting product than just the research and just what they contribute? Eric: [05:40] The story of History Unfolded begins by talking first about what Citizen History is. My title at the museum, as you mentioned, is Citizen History Community Manager. [05:53] A number of people may be familiar with citizen science, which has been around for several hundred years, where scientists would get people in the community to look into particular aspects of data collection. [06:07] They would compile all of that and they would make some inference or conclusion based on that data. What we’re doing here at the Holocaust Museum is we’re applying that same principle to history. [06:22] As a Citizen History project, we are asking the authentic historical question of, “What did Americans have the opportunity to know about the Holocaust as it occurred?” We’re asking that question because there exists gaps in our knowledge, our current knowledge. [07:05] This is part of our larger initiative on Americans and Nazi threat that we’re doing at the museum. We, as an institution, wanted to know, what did Americans have the opportunity to know about these events as they occurred? [07:19] We had several options for exploring those questions. Our staff is limited. We simply can’t do it all ourselves in terms of our researchers. [07:29] In addition, we realize there’s a great opportunity here for people in the community all over the country to actually get their hands on doing real historical research and learning from that, having an experience where maybe their assumptions about the Holocaust are challenged. [07:48] We realize that a citizen history project would be an excellent fit for helping us answer this question in terms of getting support that we couldn’t do all on our own and in terms of an educational benefit. [08:01] That’s what really makes a Citizen History project a little distinct from crowdsourcing. In crowdsourcing, yes, there’s benefits to the individual volunteers, but the main focus is on acquisition and collection end goals. [09:02] Once the students or the volunteers realize what collections they have access to, then they will go through those newspaper collections. They will look for articles relevant to our 31 events for research. Gayathri: [09:18] Can you explain what 31 events are? Is that a set number of events that you’re focusing on in this particular research? Eric: [09:26] Correct. Our 31 events for research are some events that occurred as part of the larger narrative of the Holocaust itself in Europe. One of those would be the annexation of Austria by the Nazi regime. [09:43] Another one would be Kristallnacht in November of 1938, the pogroms and persecution against Jews. There’s also events such as the Allied condemnation of the Final Solution in late 1942, and the “discovery” of the camps in 1945. [10:08] We’re also asking people to look for events in terms of what was going on in the United States at the time for context. For instance, the US was dealing with the depression. Tendencies towards isolationism versus interventionism. [10:25] We are asking for people that consider events such as the Selective Service Act and FDR’s call for troops during peacetime. We’re asking people to consider Marian Anderson and the Daughters of the American Revolution banning her from singing at Constitution Hall and her decision to sing at the Lincoln Memorial instead, so we can understand what were race relations like in the United States at the time. [10:58] We’re also focusing on Japanese internment, or as we say Japanese incarceration, with the Executive Order that was passed in early 1942, to basically relocate Japanese‑Americans from the coast to interior parts of the country and to understand about the fear and some of the decisions going on within the country. [11:22] What researchers do is they consider those events and we have really good pages on our website that describe those events as a background, so people don’t have to be an expert in them. They provide keywords for doing online research, or dates to check that are good for online research and microfilm research. [11:44] Then the next step once you determined what newspaper questions are available to you and what event you want to research is to actually go and do the research. Gayathri: [12:21] I just had a question about the metadata but I’ll let you explain what particular tags you’re looking for and things like that that form part of your metadata. Eric: [12:31] We are interested in the metadata of the newspaper headline, the sub headline, the page number, the author or byline and the issue date, and a few other details on our website in part because our main goal for this project is to try to understand if there are trends around the country in terms of article contribution. [12:57] In a dream world, if we’re really successful, and we get thousands and thousands of submissions from around the country, researchers are curious and we’re curious to know how many stories about Holocaust were on page one versus in interior pages. [13:10] How many stories about the Holocaust mentioned the word Jews specifically, or perhaps use of words like refugees, or Europeans more generally? We want to know how many of our articles were byline versus were not? [13:26] We’re also interested in the type of article at hand. Was it an editorial? Was it a letter to the editor, a political cartoon? Was it a news article? This kind of goes to the question you had asked earlier about what is happening with all these data. [13:45] Well, first off, once the articles are approved by me and I checked the data that is entered with the image that is supplied, to make sure it’s accurate and to make sure that the article is relevant to one of our 31 events. After I do that and approve the article, it becomes immediately available to the general public. [14:07] If you, for those who are listening, for anyone who is interested, if you are to go and research your local newspaper paper and submit an article to our website, fairly soon, we will review it and if it is accepted into our website, anybody with Internet access around the world will be able to look at that data that you put in and the preview of the image that you sent to our website. Gayathri: [14:31] How do you verify that the information that is given to you is actually authentic, that it is not just relevant to the particular project? How do you go about saying, “OK, what’s described here it’s verifiable, it’s true”? Eric: [14:50] A very particular story comes to mind, and if you go to our website and go to Menu and then History Unfolded blog, you can actually read the story. [15:01] It’s about a Jewish lawyer in Munich in 1933 who was beaten up by Nazis in the streets because of his involvement defending people and the fact that he was a known Jew, and he was forced by the people who beat him up to wear a sign around in the city. [15:25] There are photos of this as it occurred. Newspapers got access to these photos or some versions of the photos. The language on the sign was not clear in some of the images. You actually can see in some of the newspaper articles that the words vary slightly depending on the publication. [15:51] His name, for instance, changes on some of the stories and reports and more information does come out. We actually wrote a blog post in order to clarify some of that information, but in of itself, the tracking of the information that came out of the newspapers and seeing some of those nuances and differences is an important lesson to learn as well. [16:14] We combine the here’s to reporting and what our project is doing is reviewing what was reported and what people had access to at the time with our knowledge as an institution, where on our event pages you can go and read about the actual history as well and to make sure that the real story is coming across. Gayathri: [16:36] My question is then, you probably have several instances of the same story being reported in slightly different ways or even in the same way, but how do you collate all that information? [16:50] If there’s a particular story that has multiple sources, they all are gathered together, do you tag them? Do you have ways of doing that because it’s all coming in through your citizen researchers, and they maybe not all have the same ways of tagging it? Eric: [17:06] This is a great question and one that we’re really interested in. What we have done is, on our website, once the information is entered and the article is approved, it is not only available to anyone with an Internet connection, but it goes in for the public end of the database, and it’s searchable. [17:31] We have on our menu on the website, you can browse the newspaper information. [17:37] One thing we’ve been curious about is, how were particular stories told similarly or differently in different parts of the country or maybe even in the same town from different newspapers? [17:51] In our advanced search feature, you can look by a particular date. For instance, if I’m curious about how Kristallnacht was reported in Tennessee for instance, I can look in November 9th or November 10th, 1938 and I can search by the state of Tennessee and see what were the headlines like in a different city. [18:14] I may also know this if an article came out in two different cities that was on the exact same day and was from the same wire service. Perhaps, the story itself is the same but the headline changed. Some of those decisions were made by editors of the newspapers themselves, also where the articles were placed on the page or on what page. [18:38] Those are also things you can start to gather from our website by using our advanced search feature. There’s a keyword search. You can search by event. You can search by the wire service itself, “Associated Press” or “United Press.” Everything that is entered in is searchable in those manners. There’s a lot that you can actually do with the data once it’s entered in. Gayathri: [19:05] You’ve had college students coming and working with you. What aspects of this do you teach in this situation? Do you have classes? Do you show them how to do this? It’s not just applicable in this particular instance but it’s also a way of curating information about a lot of different things. [19:29] I’m just asking you, if you’ve had an opportunity to go beyond the Holocaust and the events around that but also in other ways and different kinds of events that could be happening because Citizen journalism is another thing that’s happening as we speak and so many things are happening around the ways that citizens report, but when we come to universities and classes and college students, there are particular ways of doing research and reporting, so I was wondering about your take on that. Eric: [20:01] We are facilitating for the high school teachers or the university professors or even the middle school teachers in terms of what they know is most important for their students in the classroom. [20:18] In conversation with them, we try to be very aware of the greatest needs because, again, as a Citizen History project, one of our goals is to make sure our project has a strong educational benefit in the classroom as well. [20:36] Our educators tell us that their students need to improve their media literacy skills. That is very important to them, especially in the world that we live in today. [20:43] One of the great things about History Unfolded project is that it does this. Students are forced to read newspapers, and a lot of the times they really enjoy reading these newspapers in the 1930s and ’40s and understand how newspapers are put together. [21:15] For a lot of our English teachers or for Journalism teachers that are interested in History Unfolded, they come to this project because they know their students are going to hone their skills in terms of critical reading and analysis. [21:32] In addition to that, especially from the history side, high school teachers and university professors want students to understand what it is to do real history. We constantly hear about how students don’t enjoy just reading through the textbook and teachers don’t enjoy just teaching through the textbook. They want to go beyond that. [21:50] What History Unfolded offers them is the opportunity to be a part of authentic historical research. That’s very motivating for students. They know what busy work is and they can see it when they are given busy work, but here they are given a real opportunity to do historical research on an ongoing question and that’s very exciting for them. They’re also being able to see how it is that history is made. [22:18] By looking at the microfilm with your classmates, collecting all this data and then talking about it, they are involved in that active process of trying to understand the past to make sense of it. [22:33] Like we mentioned, about the nuances of trying to understand the stories and where they’re coming from and the question of accuracy is something that students do need to consider today as well. [22:48] I’ll also add that some teachers have very much had their students consider current events today. We had a group of seniors in Minnesota, high school seniors that did a project around History Unfolded for their Senior Capstone Project. They created a website of their own, which is very exciting. [23:11] They compared the Refugee Crisis in the 1930s to the crisis in Syria today. They made their own conclusion between the two projects. They were using data from History Unfolded that they had researched and from the Holocaust Museum’s website to understand the context of how people reacted and why they reacted then, to understand how a lot of people react today. [23:54] Those are all skills that students are really getting from this project and the teachers are really excited about. Gayathri: [24:04] Do you see a difference in the way news is reported back then versus now and all that has impacted the use of technology in this situation? Eric: [24:10] Yes. There’s a clear difference that we’ve seen as the project team and as the students often tell us that they see in the newspapers of the past. One of the main differences in terms of how newspapers were organized as physical papers that often had clear sections to them. [25:02] We have students understand in terms of editorial sections in the newspapers as well, which will typically be on a same page or where the political cartoons were likely to be and Letters to The Editor. [25:14] Whereas today, news may come up in many different ways in terms of on your phone or looking at a website, the presentation of the articles may vary in terms of how students are accessing it, but at the same time there are some lessons that are very similar regardless, which is just because a story exists how in the world, does it necessarily mean that someone would come across it and how do they come across it? [25:44] For instance, if a student is looking at an article on page one, at the very bottom of the page, if they’re skimming through the top of the page, they may or may not see it. Whereas a student looking online at the home page of a website may not see all the articles on that page either, or in terms of reading those articles. [26:07] If you read an article about a situation, say, about the refugee situation today, you may have particular feelings. You may take action, but are those actions always recorded back in the paper? Yes or no? These are other lessons for our students to consider. [26:26] When I mentioned earlier about what our project is able to do is to help answer the question of what did Americans have the opportunity to know and how did some people react. That’s really what we’re doing. We’re trying to understand what was available in terms of information and access to information. [26:44] It’s not always very easy to figure out in terms of people’s minds and people’s responses in every case what they actually did, if anything. Gayathri: [26:58] This has been great, but I want to know if you had some key moments. You mentioned about this one article which was about a person being beaten up and that was reported differently. Do you recall any other significant events or pieces that you might wish to share, that showcases the technology and how you used it? Eric: [27:24] I think some of the most fascinating articles that we found is from the historically black press. We have different educators, especially a professor out at Arizona State University, Matthew Delmont, who did a research right around History Unfolded about a year ago. [27:44] He had his students research on ProQuest, so using modern technology today, from newspapers all over the country even though his students were in Arizona. [27:54] They were specifically looking at the reactions in the African‑American community to the Holocaust as opposed to the mainstream newspapers of the primarily white audience in terms of readers. The difference that we saw in a lot of those reports was striking to us. [28:51] “If we’re going to be helping out those of our brothers and sisters in Europe, why are we not also trying to help out our brothers and sisters here in the country?” That’s one example that comes to mind. Gayathri: [29:06] Before we end, we ask our participants a question and that is, what is your favorite analog technology? You do so much with digital, so what is your favorite analog? Eric: [29:20] Well, this is easy for me to answer in terms of the project, and I think a little bit more in terms of personally, but I think it would be fitting to talk about how the old microfilm readers are themselves analog technology. The students that have worked on this project are really fascinated to use it and we did not expect that to be the case. [29:48] We thought, with all the emphasis on smartphones and tablets and computers, the students would find it archaic and boring, but they don’t. They really enjoy the hands‑on experience and we really enjoy seeing them use that hands‑on experience. [30:08] To be able to combine that analog hands‑on technology with a digital website and in some cases, digital readers that can do PDFs or JPEGs is really exciting for us. [30:20] Personally, I remember as a student in college, when I was doing research for the very first time, I was using the old‑fashioned microfilm readers and I also found that really exciting. [30:33] The favorite technology for me in terms of this project is we’re really asking high school students to do research that a lot of times, they’re not going to be asked to do either ever or if they’re a history major or, maybe, a journalism student, they may do in college or graduate school. [30:54] It really is a great technology. For this project, it’s been very engaging. Gayathri: [31:01] Thank you so much, Eric Schmalz. Thank you for talking with me, today. Derek: [31:06] That was Eric Schmalz, Citizen History Community Manager at the US Holocaust Museum, interviewed by Gayathri Narasimham of the Vanderbilt Institute for Digital Learning. I’m really impressed with the History Unfolded project. [31:16] It reminds me of some of the work educators have been doing with Wikipedia, helping students contribute to the online encyclopedia. You can see our interviews with Tim Foster and Carwil Bjork‑James in episodes 13 and 14 for examples of that kind of work. [31:30] I’m also reminded of some of the early promise of MOOCs, Massive Open Online Courses. These courses involve thousands of people, all interested in learning about the same topic. [31:38] Most of the courses consisted of lecture videos, multiple‑choice quizzes and discussion boards, which were all fine, but imagine a course on the Holocaust that partnered with History Unfolded. You might have 5,000 or 10,000 people learning about the Holocaust as they contributed to this Citizen History project. [31:54] I know a couple of MOOCs that went in this direction, but I think it was a missed opportunity, particularly for the digital humanities community already familiar with crowdsourced research, that we didn’t see more MOOCs like that. [32:05] At any rate, in the show notes you’ll find a link to History Unfolded and some related resources. I encourage you to think about ways that you might contribute to the project with your students. [32:14] You’ll find those show notes on our website, leadinglinespod.com. We welcome your comments and questions there and on Twitter, where our handle is @leadinglinespod. [32:22] You can subscribe to our podcasts through iTunes or your other favorite podcast app. If you like what you hear on the podcast, please leave us a rating and review on iTunes. That really helps other listeners find the show, given how iTunes algorithms work. [32:33] Leading Lines is produced by the Center for Teaching, the Vanderbilt Institute for Digital Learning, the Office of Scholarly Communications, and the Associate Provost for Digital Learning. This episode was edited by Rhett McDaniel. Look for new episodes the first and third Monday of each month. Derek: [32:46] I’m your host, Derek Bruff. Thanks for listening.